В качестве иллюстрации послушаем джазовую композицию Алфонсо Блэквелла That's Cool. Она и вправду спокойная и неторопливая. К сожалению, это единственное фото музыканта, которое удалось найти. Да и информация о нём достаточно скудная. Он родился в 1971 году в Нью-Йорском Бруклине. Мальчик научился играть на пианино в шесть лет со слуха. К 11 годам он уже играл на саксофоне, а затем и на альте. Затем пришли барабан и гитара. Музыкант записал несколько дисков-хитов. Он широко занимается благотворительностью. Alfonzo Robert Blackwell was born in 1971 in Brooklyn, New York. Music was always a big part of his household and childhood upbringing. He learned to play the piano by ear at the age of six. He began playing saxophone at the age of eleven and then he started to lkay the alto, too. Over the years he also started to play the drums and guitar. Through his youth, Blackwell performed at jazz clubs, he played in big bands and jazz ensembles to showcase his original material to his growing audiences. He mixes traditional jazz with modern soul and jazz, and this makes up his musical presence. Blackwell has recorded several hits. 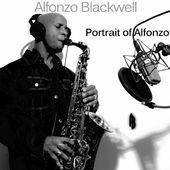 Throughout his musical career, Blackwell has always made it a priority to pay tribute to jazz greats who came before him and inspired him. Blackwell supports various charitable causes and music education programs.